A 2 x teleconverter increases the focal length of a lens 50 mm to 100 mm. 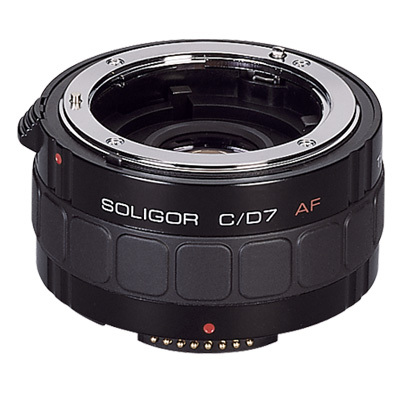 A zoomlens with a range of 28 ... 100 mm by this same converter gets a range of 56 ...200 mm. Because the unchanged close focus range remains the same, one gets a corresponding larger magnification ratio with a teleconverter . Teleconverters are an money-, space- and weightsaving alternative for a telephoto lens. A 2 x teleconverter increases the focal length of a lens 100 mm to 200 mm. Because the unchanged close […].